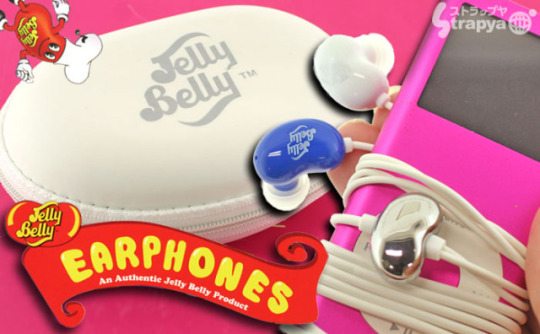 Jelly Belly jellybeans have always tasted great; now they sound good too! 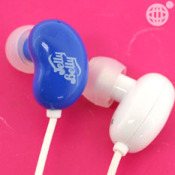 Both the earbuds and the included hard plastic carrying case proudly bear the official Jelly Belly logo and though the case is white, the earbuds are available in 8 different color combinations. 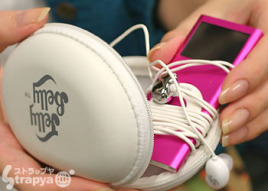 Jelly Belly stereo earphones come in XS, S or M sizes and each set comes with a 1.2m () long TPE plastic-covered cord ending in a gold-plated 3.5mm stereo mini plug for your MP3 music player. 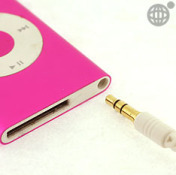 Other tech info of note are the 9.2mm diameter drivers in each earbud, 16 ohm impedance, sound pressure of 95t/-3dB/1mW, 5mW maximum input and a frequency response of 20Hz - 20KHz. As the late, great Billy Mays used to say, "And that's not all!"... 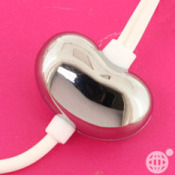 each set of Jelly Belly earphones includes a chromed wire catcher in the shape of a jelly bean to keep your earphones cord under control. And the polyurethane & EVA carry case? 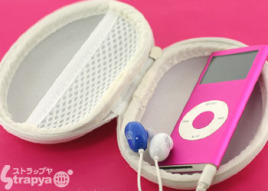 It has a small mesh net inside to keep your earphones and MP3 music player from jostling against one another while safely packed away. In the U.S., there is a limited selection available. You can find some sellers for this on Amazon here. Finally! An App That Cures Laziness!